2: Choose either eight or ten different stock index funds in the form of ETFs (exchange traded funds), two bond funds, and one money market fund. The types of stock and bond funds to be included are all clearly explained in the book, ” How To Make A Fortune During Future Stock Market Crashes With Strategic Stock Accumulation” (available through Amazon, and Amazon Kindle, and my website, stephenrperry.com). 3: Plug in your stock, bond and money market funds into your particular stock/bond ratio. 4: Follow the specific “Buy Rules” (clearly laid out in Chart 3 in the book) to determine when and how much of the stock index funds to buy (and how much of the bond funds to sell) during the next stock market crash. These purchases are made in downward percentage drops in the market. Most important, as the market drops further into bear territory, higher amounts of stock, both in percentage and absolute terms, are bought according to the “Buy Rules” Chart. 5: Follow the specific “Sell Rules” (also clearly laid out in Chart 4 of the book) to determine when and how much of stock index funds to sell (and how much of the bond funds to buy) as the stock market reaches and/or surpasses it’s previous high. When the “Sell Rules” are triggered, the original stock/bond ratio is reestablished by this selling process. 6: Maintain this reestablished stock/bond ratio until the Buy Rules” are again triggered by the next stock market crash. 7: I’ve added a seventh step, not included in the book, for this brief explanation: “Don’t try this at home”, without first reading the book. As with any important new strategy implemented for the first time, it’s important to get it right. This short summary is just that-a summary! Well there it is folks. Hard to believe this hasn’t been systematized before now, but the fact is, it hasn’t. We’ve all heard it said that it is important to ‘buy low and sell high’. But, how can this ever be done consistently without dumb luck, outside of a specific rules-based strategy to do so. It can’t. This rules based strategy dictates buying ONLY when stocks are low, and selling ONLY when stocks are high, during market crashes and recoveries. No guessing, or trying to “time the market”. 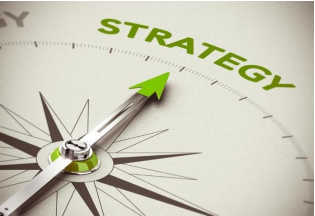 The Strategic Stock Accumulation Strategy has been back-tested and compared with the two other most commonly used investment strategies over SIX different time periods, and encompassing as many stock market crashes. The results are all documented in the book and also on my website, stephenrperry.com. Buy, read, and start using SSA, as described in the book. It will definitely change your investment life for the better.